Since 2002, Trinity Transaction Advisory, a lower middle market M&A (Mergers and Acquisitions) transaction advisory firm, has been assisting owners and shareholders of privately held companies, with annual revenues over $5,000,000, in planning and executing customized exit solutions. The company was founded with a unique concept in mind: providing superior options over the traditional broker model; implementing solid exit solutions; substantially improving our clients’ chances of selling, while increasing value to our clients. Business owners expect candid discussions with real answers and deserve professional representation each step of the way. We surround each of our clients with a team of M&A transaction professionals, providing support to navigate through the maze of complex issues confronting each transaction. Contact Trinity today for a confidential evaluation. With a diverse background in business, Gerald Kong brings knowledge, experience and success to the Trinity Executive team, with over 20 years’ experience in senior management leading startup, growth and expansion stage ventures. Mr. Kong began his management career with the start-up Franchisor, T.J Applebee’s (Later changing its name to Applebee’s International) team in 1985. In 1992, Mr. Kong entered the Qualified Plans industry joining Fidelity Pension Services, leading 3 fledging regional offices back to profitability within a year. A year later, Mr. Kong purchased a Pension Investment Company, rebranding the company as Regional Partners Inc. Shortly after the formation, the company signed a contract with Philadelphia Life, a subsidiary of Life Partners Group, owned by previous Dallas Stars and Texas Rangers proprietor Tom Hicks, to distribute a line of proprietary private label life insurance and pension products. Regional Partners quickly grew to become one of the largest retirement and pension plans agencies in Texas catering to the Public Sector Pensions Market, with 7 regional offices and established accounts in over 350 school districts. By 1996, Regional Partners’ successful run became the envy of the industry, being targeted by several insurance companies for acquisition. In February 1997, a deal was completed between Regional Partners and College Life, a wholly owned subsidiary of Americo Life, one of the largest independently owned insurance conglomerates in the United States. Mr. Kong agreed to serve for 2 years in a senior management capacity with Americo/College. After completing his obligations with Americo, and being heavily recruited by multiple companies, Mr. Kong took a senior management position with Dallas based AIM Companies, a multi lines insurance company actively licensed in 48 states, to head up their pension sales division. In 2002, Mr. Kong founded Trinity, a M&A advisory firm focused on assisting small to middle market companies in divestitures and exit strategies. 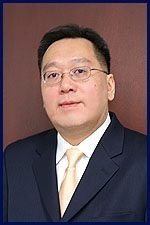 Mr. Kong has helped hundreds of clients ranging from “Main Street” to “Middle Market” corporations successfully divest. Mr. Kong received his BBA in Marketing from the Melchor College of Business at University of Houston and is also a Certified Mergers & Acquisitions Advisor (CM&AA) by the Alliance of Mergers and Acquisitions Advisors. Monty W. Walker supports Entrepreneurial Clients throughout the country and is recognized by his peer group in the Business Transfer Industry as one of the foremost innovative advisors to Small Business Owners in the areas of Business Transactions, Business Structuring & Design, Business Tax Planning and Business Exit Planning. Having come from an entrepreneurial family, Monty has a comprehensive business background spanning over 24 years which includes experience in both startups and established entities. Monty spent a significant portion of career as an industry CFO in the private sector and he has owned and operated several of his own businesses. Thus, his experience comes from being directly in the trenches. Subject Matter Expert for the International Business Brokers Association in the area of Business Transaction Taxation, Structuring and Planning. An approved instructor for the International Business Brokers Association, the Texas Association of Business Brokers, and the Texas Real Estate Commission. Authored a tax course on the “Tax Implications of the Business Transfer” and various other business transfer related seminar topics which he instructs for these organizations. Developed and assists business owners throughout the country with a unique holistic comprehensive planning program called “Entrepreneurial Life Planning”. Works with clients throughout the country rendering support for Business Transactions, Business Exit Strategies, Business Tax Planning and Business Transition Planning. As a member of the transaction team, Mr. Walker provides transaction support to Trinity clients through tax analysis of business transfers, advanced planning of tax implications of the transfer process, negotiation and structuring support, long range family planning and exit strategy formation. 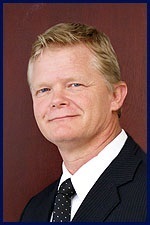 With over 29 years of professional experience in business valuation, mergers and acquisitions, analysis and structuring of traditional and non-traditional private placement investments, Brian Wendler is a Certified Public Accountant (CPA), and is Accredited in Business Valuation (ABV), Accredited Senior Appraiser (ASA – BV/IA) Business Valuations and Intangible Assets, Certified Merger & Acquisitions, (CM&A), Certified Financial Planner (CFP), Master Certified Business Counselor (designated by the Institute of Certified Business Counselors), Accredited in Business Appraisal Review (ABAR – Less than 100 individuals hold this designation nationally) and is a Board Certified Broker (BCB). He also holds General Securities, Financial & Operations, and Municipal Securities Principal licenses, as well as a Texas real estate brokers license and he is on the Quality Review Board for Business Certified Appraisers (BCA). Brian has participated as an instructor at national and state business broker conferences, and has trained and provided valuation, mergers & acquisitions, transaction and deal structuring advisory services on an on-going basis to over 1,200 business intermediaries, SBA lenders, and professionals represented by all fifty states. His experience extends across a wide variety of industries and company sizes including but not limited to manufacturing, wholesale, distribution, construction, hi-tech, retail, as well as in professional practices, financial services, and in hospital-based and stand alone medical practices and specialties. He has been involved in over 13,000 business valuations, and assisted in over 15,000 transactions. He is currently the co-chair of the Exit Planning Group for the Dallas Chapter of the Society of Financial Service Professionals (SFSP). Mr. Wendler’s credentials are unmatched to provide business appraisals of privately held companies, and his work is essential towards justification of purchase structuring and overall exit plan guidance for Trinity clients. David also brings with him a high level of technical knowledge gained from 20 years as a professional Systems Analyst, Systems Consultant and Account Manager for a number of large computer manufacturing firms, such as Compaq Computer Corporation, Digital Equipment Corporation, and Harris Computer Systems. Prior to consulting, he played an important engineering role as software manager, designer, application programmer, and systems programmer. David provides a well rounded, educated and structured approach to the divestiture arena and is an invaluable asset to our clients exit plans. David invites you for a free confidential evaluation of your business. Trinity Transaction Advisory, LLC is ready to help you sell you business, so give us a call or request a feasibility study to get the ball rolling on the business valuation process. We’re the mergers and acquisition experts who will make sure you’re getting the most you can.